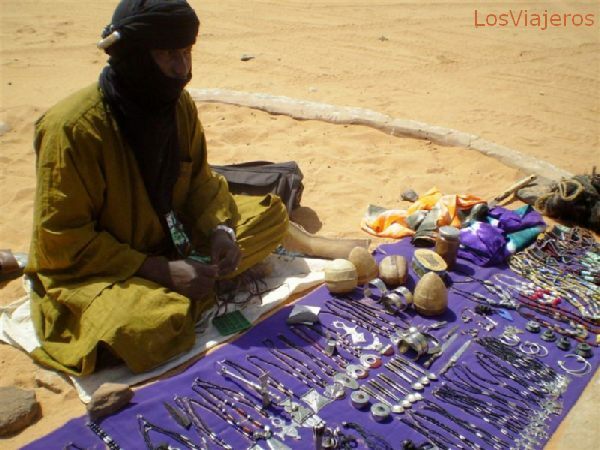 Akakus, man selling Touareg handicrafts - Libya: The same people, and the same handicraft sold in Tombouctou, 2000 km far. Very few distance for this enormous deserrt. Akakus, a la caída de la tarde, un espectáculo maravilloso Akakus, on late evening, a wonderful show "Index"